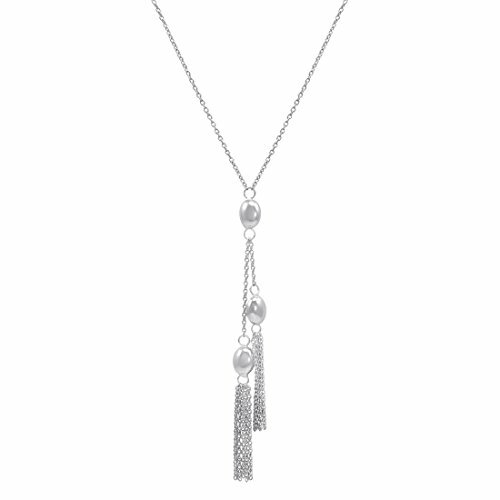 Look stunning in this trendy sterling silver fringe lariat necklace. 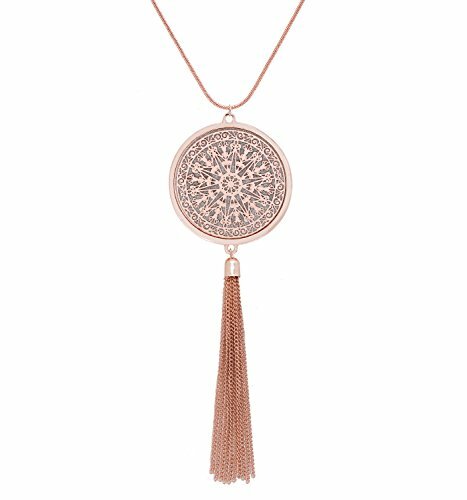 This beautiful necklace is perfect for any outfit, day or night. 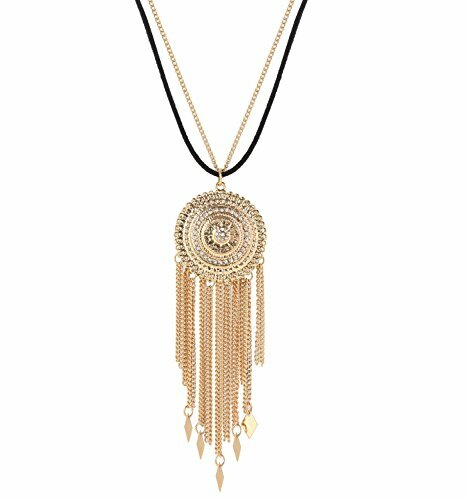 This lariat style necklace hangs on a 18 inch chain. The cimaruta ("chee-mah-roo-tah") is an ancient Italian folk charm, and is typically worn around the neck or over a door to ward off the "evil eye". 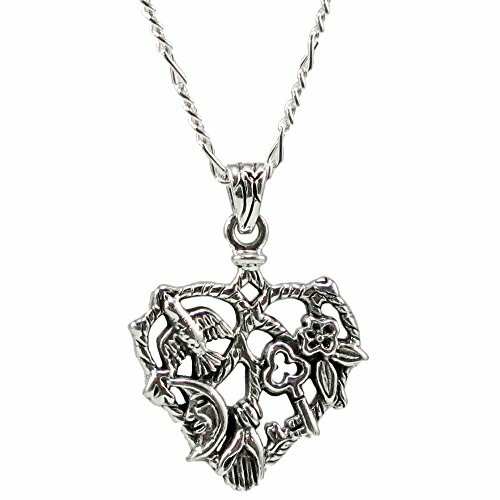 The amulet itself consists of several small powerful charms (some of which draw upon Christian symbolism). Each individual piece starts with a branch of rue -the flowering medicinal herb for which the charm is named, "cimaruta" being a form of cima di ruta: Italian for "sprig of rue". No plant it seems had more virtues ascribed to it in ancient times than rue, and the belief in these has continued down to the present day. Many herbalists refer to Rue as the "herb of grace." The component parts of the cimaruta, which are particularly associated with southern Italy, may differ by region of origin. From out of symbolic branch appears various designs including such magical symbols as: a rose; a hand holding either a wand or a sword; a flaming heart; a fish; a crescent moon; a snake; an owl; a plumed medieval helmet; a vervain blossom; a dolphin; a rooster; and an eagle. 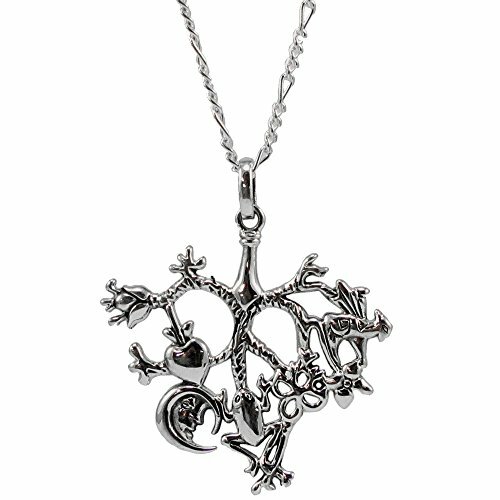 Most amulets are finely crafted and can be very hard to find. Congratulations on finding your personal amulet! 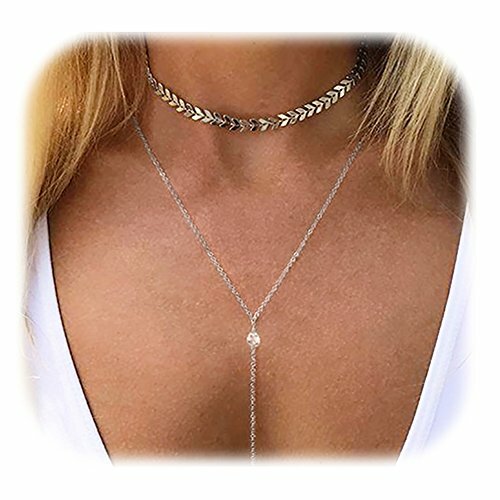 Specification: Theme: Bohemian Item Type: Statement Necklace Material: Metal Metal: Metal, Alloy, Non-Allergic Main Color: Gold, Silver Approximate Size:Approx. 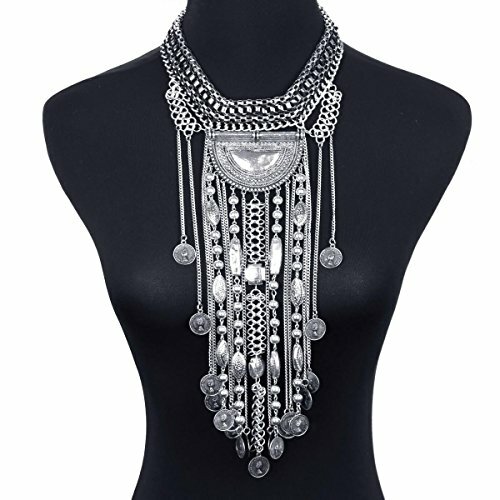 53cm/20.86inch; Chain Width: Approx. 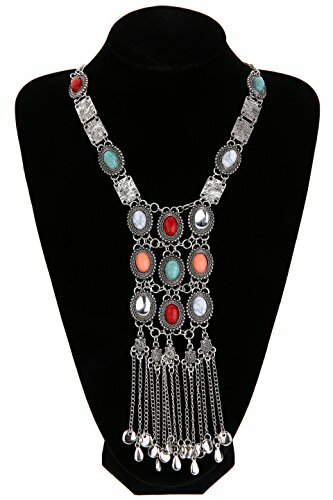 2.5cm/0.98inch; Pendant Size: Approx.26.1*18cm/10.27*7.08inch Package Included: 1pcs Statement Necklace About Color: The actual product maybe slightly different from the picture shown due to lighting and the color setting of each individual. All the sizes are for your reference only. 2~3 cm data error is allowed. Thank you for your understanding. Attention: This is a stunning and strong statement necklace. Please try to keep it from water. Our products are all made with excellent material and craft, and normally will not fade easily. But they would be damaged if used in a bad wearing habits. For the daily wearing purpose, it is really no problem. But just like other jewelry, they should be kept from water. If kept well, they will look new for long time. Service: The SUMAJU offers a specialized customer service team. If you are not satisfied for any reason, please contact us, we will provide resend or refund to you according to your request. The SUMAJU team sincerely wishes to provide all customers with products of better quality, better service and better shopping experience. 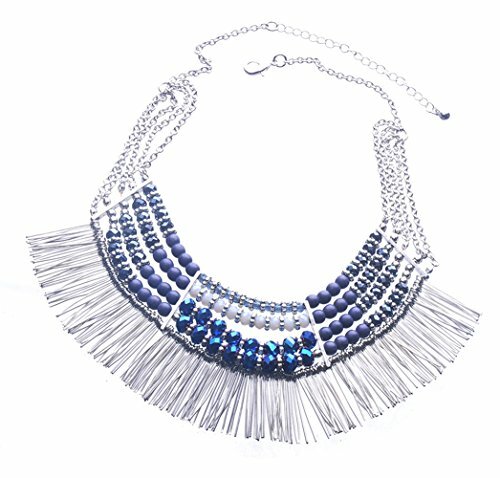 Compare prices on On The Fringe Necklace at TopShopion.com – use promo codes and coupons for best offers and deals. We work hard to get you amazing deals and collect all avail hot offers online and represent it in one place for the customers. Now our visitors can leverage benefits of big brands and heavy discounts available for that day and for famous brands.